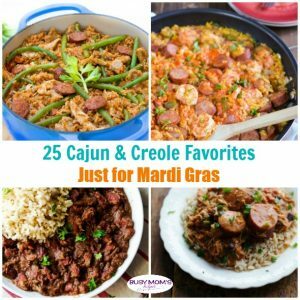 While it’s true that my family doesn’t drink alcohol, that doesn’t mean that we don’t love a fun beverage for special occasions – and whatever your reasons for not drinking, it’s true that you can still enjoy something special during a celebration! 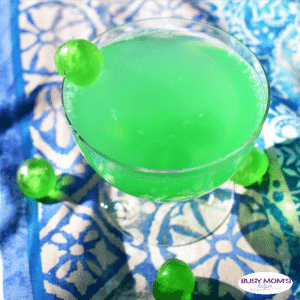 This Green Cherry Punch definitely fits the bill for a family friendly beverage for St. Patrick’s Day. And the best part? It’s made with easy, inexpensive items you can find in your grocery store. We mamas love simple, right? This would also be super fun for a class party, maybe a Ghostbuster’s themed birthday (or Ninja Turtles? ), or even at Christmas. I’d just swap out the green cherries for red! Mix frozen concentrate according to directions. Add 3 cups of lemon lime soda. Two drop of green food coloring. Add 10 green candied cherries to punch. 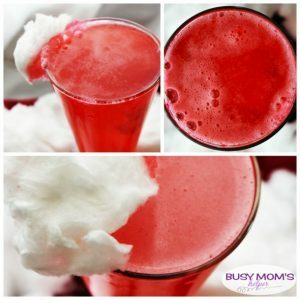 What’s your favorite family friendly punch recipe? 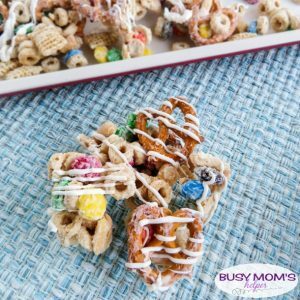 Whether you need a treat for a holiday party, co-workers in the office, a tasty gift idea, or just for an afternoon break, this Christmas Snack Mix is super easy to make and tastes delicious! Plus, you can customize it to your own tastes, making it the perfect holiday treat. See, it even LOOKS festive and tasty, right? Kids would have a BLAST helping to make this – and it’d be great for packaging nice and gifting to friends or neighbors. If your family doesn’t eat it all first, that is! Mix cereals, pretzels, peanuts, and M&Ms in a large bowl. Take your white chocolate chips and put in a microwave safe bowl. Microwave for 30 seconds, then stir. Continue to do this until chips are all melted. Pour chocolate over mixture and mix very well, making sure everything is well coated. Next, spread the mixture on a parchment lined cookie sheet in a nice even layer. This step is optional: Take any leftover chocolate and drizzle over the mixture. Let dry, then break apart! It’s now ready to eat or store in an air tight container. It’s freezing outside. Well, not in the ‘technical’ sense of temperature, but for Texas it’s pretty darn close! Plus it’s suppose to actually get into freezing in the next week or so. Needless to say, I’ve pulled out my super snuggly, thick blanket and am all set for this delicious Peppermint White Chocolate Hot Cocoa. 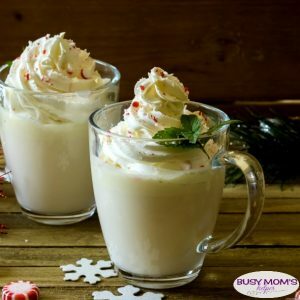 This peppermint hot cocoa is creamy, and full of delicious chocolate flavor mingled with the minty goodness. I love it! Stir the milk and chopped white chocolate together in a medium saucepan. Cook over medium-low heat, stirring occasionally, until the mixture comes to a simmer and the chocolate is melted, stirring constantly or the chocolate might burn at the bottom. Once simmering and melted, remove from heat and stir in peppermint extract. Serve warm, with whipped cream and crushed peppermint candies. Now you can warm up, despite the frigid weather outside, with this delicious cup of peppermint hot chocolate. Just grab a good book, a fluffy blanket and you’re all set for a wonderful evening of YOU time! 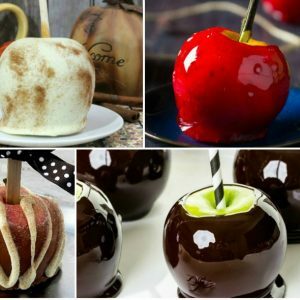 There’s so many great ideas for playful treats, especially during the holidays. These tasty – and easy to make – fun candy presents are the perfect holiday snack! Bring these to your next Christmas party, family gathering, or just because you want to – they’ll be a hit no matter the occasion! Aren’t these Christmas treats super cute? I love them – plus they’re made with chocolate candies, so how could you go wrong with them, right? You can switch up the colors to match a certain pattern or color theme, or just so each of your kids have their favorite color in their holiday snack. 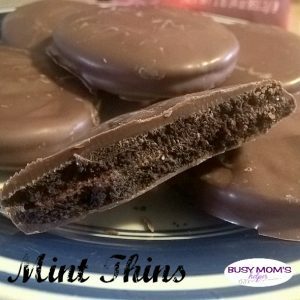 Unwrap all your candy bars and set them on a parchment lined cookie sheet. Now take your white chocolate discs and put in a microwave safe bowl. Microwave for 30 seconds, then stir. Continue to do this until discs are all melted. Let chocolate cool for a few minutes (if it’s too hot, it’ll melt the candy bar). Then dip candy bar in chocolate, make sure to get a nice even coat. Tap on edge to get rid of excess chocolate. Lay on parchment paper. Take your extreme airheads and with a knife cut 2 inch strips. Take those strips and cut out each color so you’ll have 5 total strips. Continue to do this until you have 2 strips per present. 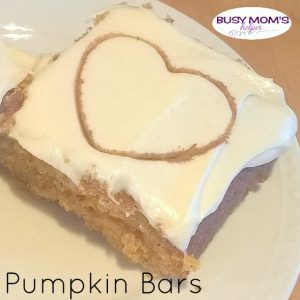 Add 2 pieces of candy strips in a crossing pattern. Next, add 2 hearts with a pearl between them (this will make your bow). Let dry for about 10 minutes. That’s it – these fun Christmas treats are ready to eat! 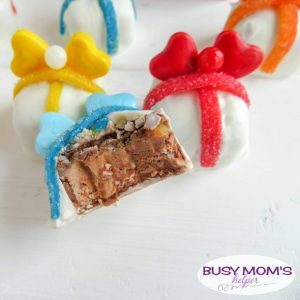 Guys, I just can’t get over how adorable these Christmas treats are – or how easy they are to make! 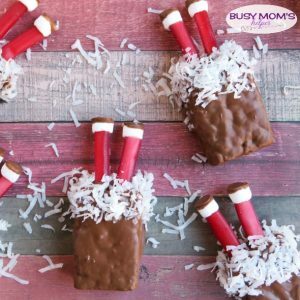 These Cute Santa Chimney Treats would be the perfect addition to any holiday party, family gathering or just a clever snack for the kids this season. And don’t worry, they’re REALLY easy to make with just a handful of simple ingredients. Nobody has tons of times to spend in the kitchen during the holiday anyway, right? 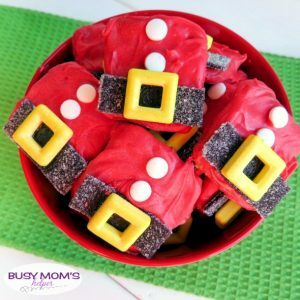 Thank goodness these hilarious treats – featuring your favorite red suited man, Santa, stuck in the chimney – are quick, and sure to be a crowd-pleaser! Lay the rice krispy treats on parchment paper. Take a knife and cut 2 holes on one end of each treat. Make the holes about the size of the candy ropes. Cut candy ropes in about 2 inch pieces and set aside. Take a rice krispy treat and dip in chocolate, making sure to coat all sides. Place on parchment paper. On the end with the 2 holes, sprinkle coconut on the top and sides. Only go to about 1/3 way. (This is the snow on the top of the chimney). Repeat all steps until all 6 treats are made. Stick in refrigerator for a few minutes or until hardened. 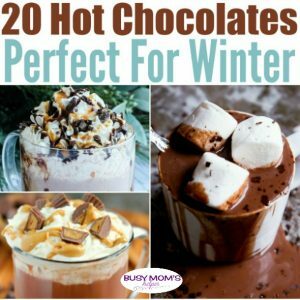 While those are hardening, take your mini marshmallows and dip just the ends in chocolate. Lay on parchment paper to dry. When everything is hardened, you’re ready to add the boots. Take your mini marshmallows and cut off just the very end of the non- chocolate side. Stick the side you just cut to the end of the rope. (These will be santa’s boots). That’s it – you’re ready to enjoy these delicious and FUN Santa Chimney Treats!